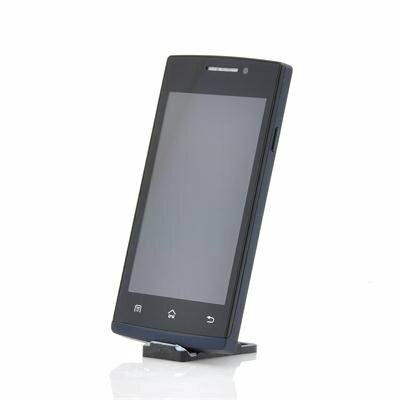 Successfully Added 4 Inch Budget Android Smartphone 'Hei' - 1GHz Spreadtrum SC6820 CPU, Wi-Fi, Bluetooth (Black) to your Shopping Cart. 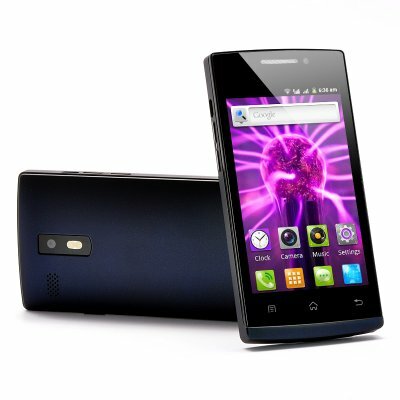 4 Inch Budget Android Smartphone with 1GHz Spreadtrum SC6820 CPU, Wi-Fi, Bluetooth, front and rear camera and more. Don’t spend lots on a quality made phone because this mini Android phone is the wholesale solution you have been looking for. Know as the Hei, this 4 inch phone is designed with price in mind, however this doesn't mean lower specifications and therefore it comes with a strong Spreadtrum SC6820 1GHz CPU which delivers an outstanding performance especially when you consider the price. Navigate through the menus and settings with the conveniently sized 4 inch capacitive touch screen display, which detects your precise touch. A massive advantage that the Hei has over other similar priced budge phones is that is comes with an Android operating system. Android is currently the most popular operating system used on mobile device and it is easy to see why as it is user friendly and very advanced. Pair and share by using the Hei cell phone’s Bluetooth connectivity to make data transferring even easier. Sign on to your Facebook account, check e-mails or stream videos from YouTube from where ever you are as this budget priced mobile phone has built in Wi-Fi. The Hei Android phone also comes with other features that you get on high end smartphones such as FM radio, an array of languages to choose from and a built-in micro SD port that supports up to an additional 32GB. This 4 inch Android mobile phone is in stock and can be dispatched within one working day of ordering with a 12 month warranty. Brought to you by the leaders in wholesale electronics and android phones, Chinavasion. personally ive had a problem with google play services not responding causing the phone to go a bit crazy informing me that the google play services has failed, but uninstalling and reinstalling the app has fixed this. I ordered this product and in less then a week it was in the Bahamas very nice phone easy to use.